Herbs have been used since ancient times for protection and blessings. Historically hung from ceilings and over doorways, placed in rooms, cots and places where protection from evil, ill-wishes and curses is needed. Each charmed pouch comes with a blessing card, both presented in a white organza drawstring bag. Because white is the strongest protection color. Charmed herbs in pouches as special gifts for self and your loved ones. Love & Romance, Congrats, Happy Occasions, Welcome Baby, Housewarming, Remembrance, Goodbyes, Attract Money and Good Luck. Wholesale orders welcome. 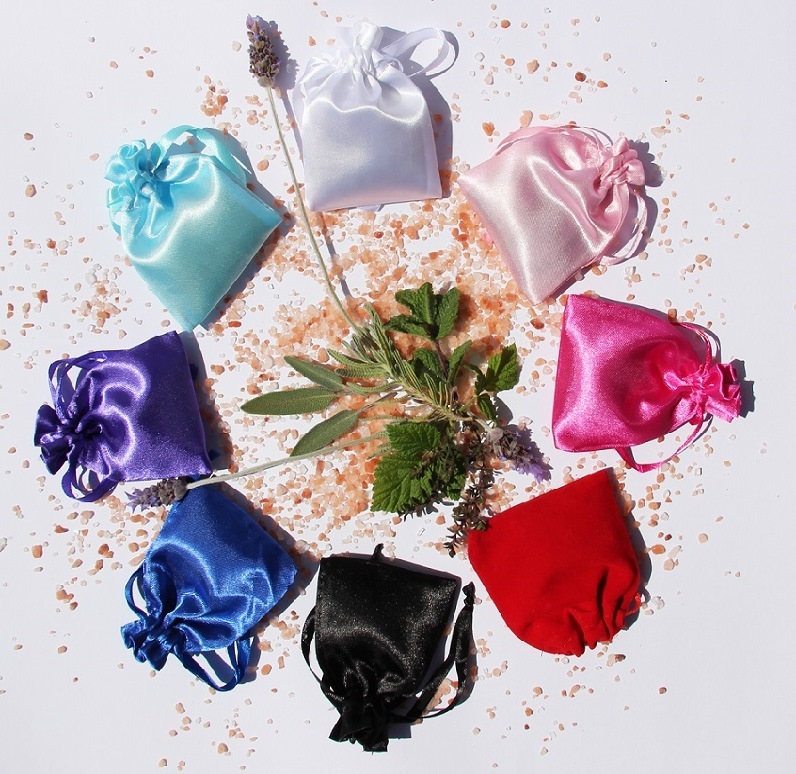 Minimum of 10 pouches, mixed ok.
Charmed Crystal pouches and Charmed Herb pouches for love, romance, luck and healing. Charmed Protection pouches to protect you and your loved ones from curses, ill-wills and bad luck.